[url=http://flightrising.com/main.php?dragon=16377883] [img]http://flightrising.com/rendern/350/163779/16377883_350.png[/img] [/url] This is Bruh, the Arcane Ambassador and the Scholar. This derg is very smart and extremely curious, which, when mixed with his rather hair-brained nature, often leads to interesting results. He recently lost his sister and brother-in-law, and he is worried about his mother's isolated nature in the aftermath of the incident. [url=http://flightrising.com/main.php?dragon=7012184] [img]http://flightrising.com/rendern/350/70122/7012184_350.png[/img] [/url] This is Bloodclaw, Bruh's mother and the original clan battlemaster. She's lost a lot of nests, and understand the desperation, the primal need to help hatchlings in danger. Bloodclaw is also one of the eldest dragons in the clan; she's a seasoned warrior and knows her way around sornieth fairly well. 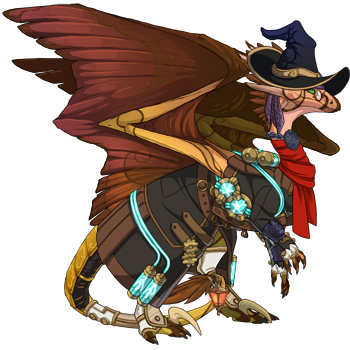 [url=http://flightrising.com/main.php?dragon=9029930] [img]http://flightrising.com/rendern/350/90300/9029930_350.png[/img] [/url] His final companion is Iuriti, the clan's eldest nocturne and one of the clan's many magic specialist. A trickster by trade, she's learned to use her natural inclination for mimicry to her advantage, gaining trust and power. 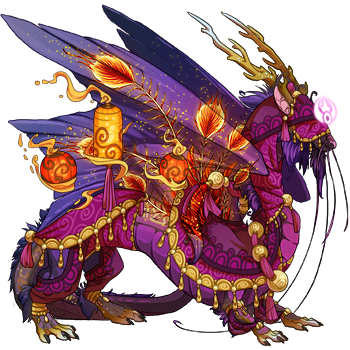 Iuriti is not only the eldest nocturne in the clan, she's one of the eldest nocturne's period; her egg was discovered during the very first night of the nocturne, making her a perfect Shadow Ambassador. Though she hasn't traveled nearly as much as Bloodclaw, she knows shadow territory like no other dragon in her clan. Bruh submitted his plight to the clan god and leaders. Meaghan suggested the two companions, but it was up to him to convince them to follow along. Iuriti is smart and curious, almost as much as Bruh himself, so it took her very little to realize what was at stake. Bloodclaw was a bit of a different story. She agreed. It was time for her to hunt again. The three dragons made their preparations and set out immediately into the deep, dark, Tangled Wood. --- "Thhhhhhh." Iuriti's lisp did not mask the panic in her voice. Bruh skittered to a halt, and his mother growled (as did her Hoarfrost Mauler, Aissikul). "There ith thomething cloth by. Ith doeth not-" the nocturne frowned, "-doeth not theel righth." Bruh shifted feet nervously. "Maybe I should...ah, perhaps, uh," he trailed off mumbling but he seemed to be reaching for his maps, so Iuriti assumed he was checking their position. They were similar in age, but the nocturne had never payed too much attention to the scholar, usually far too busy with her own studies. "This way!" Bloodclaw's voice carried over the bramble. "Oh, yes, coming mother..." Bruh stuffed his map hastily back into it's holder and trotted towards her. Iuriti followed suit. "I have found the entrance to their lair," Bloodclaw continued, as the two younger dragons picked their way through the vines, "the hatchlings will be inside!" The needle-point thorns seemed endless. One tore a gash in Bruh's back leg, and he gasped. "NO!" Iuriti called, a moment too late. In his moment of panic, Bruh had loosened his grip on his pearl, and it was snatched from him by a streak of crimson. He looked around wildly, eyes wide and terrified. "My pearl, where is it? My pearl!" Thana cackled. "Looking for something?" she hissed in his mother's stolen voice. Bruh whimpered. "Come now, I thought you'd be glad! This is the most you've heard your mother's voice in ages." The nocturne purred. "You don't, I...you're evil!" Bruh decided eventually. "My poor boy, always forgotten, even by your own motheA-" Thana cut off, slipping for a moment into her own voice as Iuriti shot out of the bramble like a rocket. Iuriti swiped at the other nocturne and Thana shrieked and dove to avoid her. This seemed to break Bruh out of his stupor, and he began to struggle closer through the underbrush. Bruh felt like crying. Without his pearl he was nothing, an empty shell, he could not loose his pearl! His front paw got stuck in a looping vine and he tripped, tugging blindly to try and get free. The tension cut abruptly, and he righted himself to see Chomper, Iuriti's Jawlocker guardian. The mimic clicked at him, then crunched his way through several more brushes, and Bruh picked himself up and limped after his friend's familiar. Their progress was slow. Iuriti was successfully distracting Thana for the moment, but she was ultimately out of her depth. The red nocturne out-flew her at every turn, her only strength was her reinforced wings, which threw off Thana's attacks easily. Even with Chomper's help, Bruh found it hard to navigate the terrain. The situation quickly became worse as other familiars began to approach the two grounded creatures. Bruh found himself to mentally unbalanced to reach for his magic, and Chomper could only do so much against some of the bigger mimics. They broke out of the bramble just in time to see Iuriti get knocked out of the air with a well-timed tailswipe from Thana. Chomper gnashed his teeth in distress and bounced towards his charge. Mimics surrounded him quickly and cut him off. Bruh stared up at Thana in horror. "Well, little pearl-less catcher," the nocturne's true voice made Bruh's scales stand on end. She dragged her claws on the edge of his pearl, and Bruh felt it mark his soul. He shrank back with a wordless plea. "Oh, did that hurt?" She laughed. "Leath him alone!" Iuriti lifted herself up and Thana growled and whipped around to face her. "You know what?" she clicked her tongue, "I think just for that I'll-" Thana didn't get to finish her sentence. Bloodclaw crashed through the clearing and sent the smaller dragon flying. Thana hit a tree with a sickening crack. Bloodclaw clicked her scythe claws, bent to place a possessive paw on her son's pearl, and gave a high, grating cry. Thana tried to lift herself up, but her wing was mangled and she was beginning to look panicked. "N-now listen," Thana slipped into a facsimile of another familiar voice, "I'm sure we can-" Bloodclaw growled loudly in response. She left the pearl and advanced. Slowly. Deliberately. She towered over the other dragons in the clearing, crimson wings spread wide in display. The mimics had scattered when she'd entered the clearing, and Aissikul was quick to ensure they would think twice about coming closer again. Chomper helped Iuiriti to her feet. Bruh crept forward behind his mother and snatched his pearl back. "The children are in the brush, to the east," Bloodclaw spoke to her companions without turning from her target. "Go." Bruh threw a glance over his shoulder. His mother was still advancing on the downed dragon. Best leave them to it. They did find the hatchlings. Aissikul led them through the forest and broke through the mimic ranks. Chomper locked them both securely in his mouth, and the group began to make their way back. They circled back around, but didn't meet Bloodclaw again till they were almost at the boarder. "I took care of her," was all she would say to their questions. "The hatchlings?" "They are thecure," Iuriti assured her. Bloodclaw looked over Bruh once, huffed, and took the lead again. It was time to bring the hatchlings home. This is Bruh, the Arcane Ambassador and the Scholar. This derg is very smart and extremely curious, which, when mixed with his rather hair-brained nature, often leads to interesting results. He recently lost his sister and brother-in-law, and he is worried about his mother's isolated nature in the aftermath of the incident. 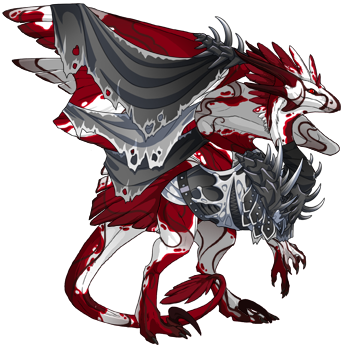 This is Bloodclaw, Bruh's mother and the original clan battlemaster. She's lost a lot of nests, and understand the desperation, the primal need to help hatchlings in danger. Bloodclaw is also one of the eldest dragons in the clan; she's a seasoned warrior and knows her way around sornieth fairly well. His final companion is Iuriti, the clan's eldest nocturne and one of the clan's many magic specialist. A trickster by trade, she's learned to use her natural inclination for mimicry to her advantage, gaining trust and power. 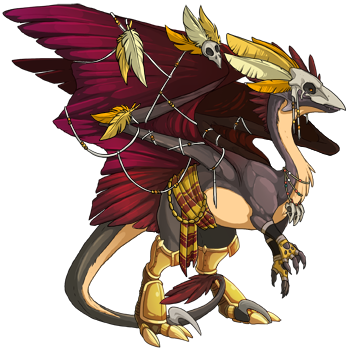 Iuriti is not only the eldest nocturne in the clan, she's one of the eldest nocturne's period; her egg was discovered during the very first night of the nocturne, making her a perfect Shadow Ambassador. Though she hasn't traveled nearly as much as Bloodclaw, she knows shadow territory like no other dragon in her clan. Bruh submitted his plight to the clan god and leaders. Meaghan suggested the two companions, but it was up to him to convince them to follow along. Iuriti is smart and curious, almost as much as Bruh himself, so it took her very little to realize what was at stake. Bloodclaw was a bit of a different story. She agreed. It was time for her to hunt again. The three dragons made their preparations and set out immediately into the deep, dark, Tangled Wood. "Thhhhhhh." Iuriti's lisp did not mask the panic in her voice. Bruh skittered to a halt, and his mother growled (as did her Hoarfrost Mauler, Aissikul). "There ith thomething cloth by. Ith doeth not-" the nocturne frowned, "-doeth not theel righth." Bruh shifted feet nervously. "Maybe I should...ah, perhaps, uh," he trailed off mumbling but he seemed to be reaching for his maps, so Iuriti assumed he was checking their position. They were similar in age, but the nocturne had never payed too much attention to the scholar, usually far too busy with her own studies. "This way!" Bloodclaw's voice carried over the bramble. "Oh, yes, coming mother..." Bruh stuffed his map hastily back into it's holder and trotted towards her. Iuriti followed suit. "I have found the entrance to their lair," Bloodclaw continued, as the two younger dragons picked their way through the vines, "the hatchlings will be inside!" The needle-point thorns seemed endless. One tore a gash in Bruh's back leg, and he gasped. "NO!" Iuriti called, a moment too late. In his moment of panic, Bruh had loosened his grip on his pearl, and it was snatched from him by a streak of crimson. He looked around wildly, eyes wide and terrified. "My pearl, where is it? My pearl!" Thana cackled. "Looking for something?" she hissed in his mother's stolen voice. "Come now, I thought you'd be glad! This is the most you've heard your mother's voice in ages." The nocturne purred. "You don't, I...you're evil!" Bruh decided eventually. "My poor boy, always forgotten, even by your own motheA-" Thana cut off, slipping for a moment into her own voice as Iuriti shot out of the bramble like a rocket. Iuriti swiped at the other nocturne and Thana shrieked and dove to avoid her. This seemed to break Bruh out of his stupor, and he began to struggle closer through the underbrush. Bruh felt like crying. Without his pearl he was nothing, an empty shell, he could not loose his pearl! His front paw got stuck in a looping vine and he tripped, tugging blindly to try and get free. The tension cut abruptly, and he righted himself to see Chomper, Iuriti's Jawlocker guardian. The mimic clicked at him, then crunched his way through several more brushes, and Bruh picked himself up and limped after his friend's familiar. Their progress was slow. Iuriti was successfully distracting Thana for the moment, but she was ultimately out of her depth. 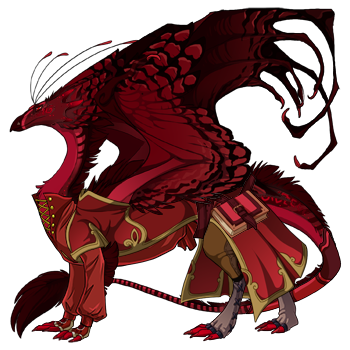 The red nocturne out-flew her at every turn, her only strength was her reinforced wings, which threw off Thana's attacks easily. Even with Chomper's help, Bruh found it hard to navigate the terrain. The situation quickly became worse as other familiars began to approach the two grounded creatures. Bruh found himself to mentally unbalanced to reach for his magic, and Chomper could only do so much against some of the bigger mimics. They broke out of the bramble just in time to see Iuriti get knocked out of the air with a well-timed tailswipe from Thana. Chomper gnashed his teeth in distress and bounced towards his charge. Mimics surrounded him quickly and cut him off. Bruh stared up at Thana in horror. "Well, little pearl-less catcher," the nocturne's true voice made Bruh's scales stand on end. She dragged her claws on the edge of his pearl, and Bruh felt it mark his soul. He shrank back with a wordless plea. "Oh, did that hurt?" She laughed. "Leath him alone!" Iuriti lifted herself up and Thana growled and whipped around to face her. "You know what?" she clicked her tongue, "I think just for that I'll-"
Thana didn't get to finish her sentence. Bloodclaw crashed through the clearing and sent the smaller dragon flying. Thana hit a tree with a sickening crack. Bloodclaw clicked her scythe claws, bent to place a possessive paw on her son's pearl, and gave a high, grating cry. Thana tried to lift herself up, but her wing was mangled and she was beginning to look panicked. "N-now listen," Thana slipped into a facsimile of another familiar voice, "I'm sure we can-"
Bloodclaw growled loudly in response. She left the pearl and advanced. Slowly. Deliberately. She towered over the other dragons in the clearing, crimson wings spread wide in display. The mimics had scattered when she'd entered the clearing, and Aissikul was quick to ensure they would think twice about coming closer again. Chomper helped Iuiriti to her feet. Bruh crept forward behind his mother and snatched his pearl back. "The children are in the brush, to the east," Bloodclaw spoke to her companions without turning from her target. "Go." Bruh threw a glance over his shoulder. His mother was still advancing on the downed dragon. Best leave them to it. They did find the hatchlings. Aissikul led them through the forest and broke through the mimic ranks. Chomper locked them both securely in his mouth, and the group began to make their way back. They circled back around, but didn't meet Bloodclaw again till they were almost at the boarder. "I took care of her," was all she would say to their questions. "The hatchlings?" "They are thecure," Iuriti assured her. Bloodclaw looked over Bruh once, huffed, and took the lead again. It was time to bring the hatchlings home. "Makilen completed observatory training? [i] Makilen[/i]?" [url=http://flightrising.com/main.php?dragon=19886676] [img]http://flightrising.com/rendern/350/198867/19886676_350.png[/img] [/url] Alumiel slung her knapsack over her shoulders and shook her head in mild disbelief. She had always fancied herself the academic of the the clan, and now that inofficial status was threatened by the blabbering maddragon. Mad Maki certainly wasn't the stereotypical scholarly type. He seemed like the type who had gotten his head bashed by a chargebeast one time too many, actually. Still, the pale dragons information had never been wrong before. Riddled and rather round-about, yes, but never [i]wrong[/i]. Eleven knew where he even got his info to begin with. Even Alumiels mother listened when he spoke. Which was of course the main reason why Alumiel was there, coaxed into it by mommy dearest promising not to cut her research funding (she really had to be more careful with budgeting in the future or her actual research would get discovered). ... well, that. And this... 'singer' ability, it was quite alluring. The ability to control mimics - could it be applied to necromantic constructs..? Alumiel leapt up into the air and landed on the palisade by the other two. [url=http://flightrising.com/main.php?dragon=21941330] [img]http://flightrising.com/rendern/350/219414/21941330_350.png[/img] [/url] "Good morning. You're about an hour late, but we've still got darkness. Lets move out before the dawn, alright?" Thulima commented. Alumiel being this late was not unusual. Had this not been one of the matriarchs favored daughters, Thulima would've chewed the little brat out for this - but as it was, she needed the favor of her higher-ups quite sorely. She was already playing on her charms and wits to the best of her ability just to stay in Abigails good side... well, her annoyedly tolerating side anyway. Still working on the 'good' part. So this was a chance - protect and be polite with her daughter, hope to win gold stars. She sure could use them. Might even be able to pay off some of the money on that blasted mile-long tavern tab with this. [url=http://flightrising.com/main.php?dragon=22489013] [img]http://flightrising.com/rendern/350/224891/22489013_350.png[/img] [/url] "Excellent!" Makilen exclaimed. "The great aardvark has spoken, and the path has been made clear to us. To the Ice Fields!" ".. the.. Tangle Woods, Makilen.." Thulima kindly pointed out. "Almost the same thing. Don't get too hung up on the details. The great aardvark have not the patience for details!" Thulima and Alumiel glanced at each other while Makilen kept talking about aardvarks. "Are you.. sure we should go through with this?" Thulima whispered. "... Makilen is never actually [i]wrong[/i]." Mad as a bat but never wrong." Alumiel huffed, trying to put on a proud front but her crest deflated like a balloon when Makilen begun about the great war between the aardvarks and the ant eaters at the dawn of the previous universe. "W...well. It probably isn't. This is a terrible idea, actually. Not as bad an idea as crossing mom, though." "Point taken." "AND SO!" Makilen exclaimed, "ALL WE MUST DO IS FOLLOW THE AARDVARK: FOLLOW THE AARDVARK TO THE MUSHROOMS. FOLLOW THE MUSHROOMS TO THE STRANGE MINDCONTROLLING DRAGONBAT. FOLLOW THE DRAGONBAT TO THE INFINITY QUANTUM HIDDEN BY THE-" "Are you quite done?" "Yes of course sorry." Alumiel looked dully at her pale companion and suppressed a frown. Perhaps he had indeed been an Observatory scholar. She heard some did go quite mad..
"Makilen completed observatory training? Makilen?" Alumiel slung her knapsack over her shoulders and shook her head in mild disbelief. She had always fancied herself the academic of the the clan, and now that inofficial status was threatened by the blabbering maddragon. Mad Maki certainly wasn't the stereotypical scholarly type. He seemed like the type who had gotten his head bashed by a chargebeast one time too many, actually. Still, the pale dragons information had never been wrong before. Riddled and rather round-about, yes, but never wrong. Eleven knew where he even got his info to begin with. Even Alumiels mother listened when he spoke. Which was of course the main reason why Alumiel was there, coaxed into it by mommy dearest promising not to cut her research funding (she really had to be more careful with budgeting in the future or her actual research would get discovered). ... well, that. And this... 'singer' ability, it was quite alluring. The ability to control mimics - could it be applied to necromantic constructs..? Alumiel leapt up into the air and landed on the palisade by the other two. "Good morning. You're about an hour late, but we've still got darkness. Lets move out before the dawn, alright?" Thulima commented. Alumiel being this late was not unusual. Had this not been one of the matriarchs favored daughters, Thulima would've chewed the little brat out for this - but as it was, she needed the favor of her higher-ups quite sorely. She was already playing on her charms and wits to the best of her ability just to stay in Abigails good side... well, her annoyedly tolerating side anyway. Still working on the 'good' part. So this was a chance - protect and be polite with her daughter, hope to win gold stars. She sure could use them. Might even be able to pay off some of the money on that blasted mile-long tavern tab with this. "Excellent!" Makilen exclaimed. "The great aardvark has spoken, and the path has been made clear to us. To the Ice Fields!" ".. the.. Tangle Woods, Makilen.." Thulima kindly pointed out. "Almost the same thing. Don't get too hung up on the details. The great aardvark have not the patience for details!" Thulima and Alumiel glanced at each other while Makilen kept talking about aardvarks. "Are you.. sure we should go through with this?" Thulima whispered. "... Makilen is never actually wrong." Mad as a bat but never wrong." Alumiel huffed, trying to put on a proud front but her crest deflated like a balloon when Makilen begun about the great war between the aardvarks and the ant eaters at the dawn of the previous universe. "W...well. It probably isn't. This is a terrible idea, actually. Not as bad an idea as crossing mom, though." "AND SO!" Makilen exclaimed, "ALL WE MUST DO IS FOLLOW THE AARDVARK: FOLLOW THE AARDVARK TO THE MUSHROOMS. FOLLOW THE MUSHROOMS TO THE STRANGE MINDCONTROLLING DRAGONBAT. FOLLOW THE DRAGONBAT TO THE INFINITY QUANTUM HIDDEN BY THE-"
Alumiel looked dully at her pale companion and suppressed a frown. Perhaps he had indeed been an Observatory scholar. She heard some did go quite mad.. This is Breeze! He's a lawful evil mage who loves spells and stuff. Doesn't normally save the world, but will do anything to protect hatchlings. (Tragic backstory or something). His familiar is called Tourmaline. A companion for the dragon who likes to outshine their fellows. Tropical! 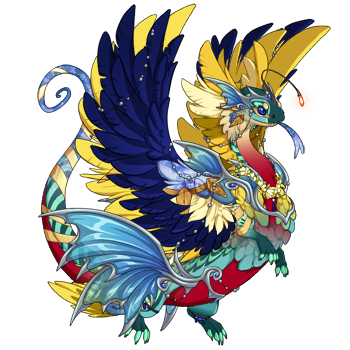 A happy Coatl who likes shiny things. He gets distracted pretty easily, but is a good friend and thinks outside the box. His familiar is named Sparky. Also known as the poor dragon's Boolean. Normally, the warning "don't wear a shroud that can whisper" would be enough, but this just goes so great with your new genes. 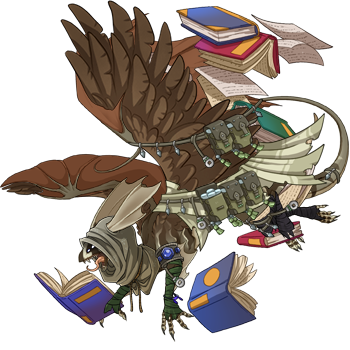 The Scholar - Demeter [url=http://flightrising.com/main.php?dragon=3235919] [img]http://flightrising.com/rendern/350/32360/3235919_350.png[/img] [/url] Demeter is cheerful most of the time and utterly dedicated to her work. She loves learning things and can develop a sort of tunnel vision when she finds something particularly interesting to her. Once she's decided to do something she can become extremely stubborn, to a point that she no longer cares what others might think about her, however, she's also very caring and loyal. 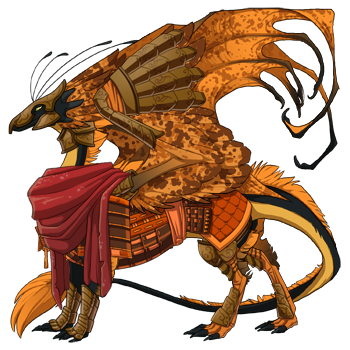 The Scout - Achlys [url=http://flightrising.com/main.php?dragon=20467903] [img]http://flightrising.com/rendern/350/204680/20467903_350.png[/img] [/url] If there's trouble Achlys will find it and end up directly in the center of it somehow. Ach loves trouble. She's still an apprentice, but she's shaping up to be an extremely skilled tracker and scout. The calculating nature she inherited from both her parents helps her easily decide on the best paths to take to avoid traps. She's definitely not gonna miss out on an adventure! 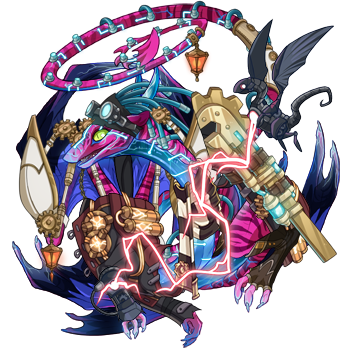 The Guard - Gawain [url=http://flightrising.com/main.php?dragon=6956111] [img]http://flightrising.com/rendern/350/69562/6956111_350.png[/img] [/url] Poor Gawain, he's the type who prefers things to be calm and orderly, but he's also friends with Achlys, who is neither of those things. He often gets pulled into whatever hijinks she involves herself in and this time would be no different. As a fighter he's skilled and honorable. He'll defend his friends with everything he has, but he'd rather not fight if it's not absolutely necessary. Demeter is cheerful most of the time and utterly dedicated to her work. She loves learning things and can develop a sort of tunnel vision when she finds something particularly interesting to her. Once she's decided to do something she can become extremely stubborn, to a point that she no longer cares what others might think about her, however, she's also very caring and loyal. If there's trouble Achlys will find it and end up directly in the center of it somehow. Ach loves trouble. She's still an apprentice, but she's shaping up to be an extremely skilled tracker and scout. The calculating nature she inherited from both her parents helps her easily decide on the best paths to take to avoid traps. She's definitely not gonna miss out on an adventure! Poor Gawain, he's the type who prefers things to be calm and orderly, but he's also friends with Achlys, who is neither of those things. He often gets pulled into whatever hijinks she involves herself in and this time would be no different. As a fighter he's skilled and honorable. He'll defend his friends with everything he has, but he'd rather not fight if it's not absolutely necessary. Dynas has a very strong connection to all things natural, especially his native Wind flight, and the adopted Earth flight. He's a very caring and ancient Imperial, often giving council to the youngsters of the Clan, or anyone that asks him for guidance. When he found out about the Nocturnes, Dynas knew he had to take action- no matter where they were from, no matter what he had to do, he wouldn't allow such feats to go without consequence. So, the ancient dragon gathered up a small team, and set out on quite a dangerous journey. You'd think that someone such as Dynas would've chosen a dragon far more apt for this quest, but you'd be wrong; he chose Tuathe, the Whisper. With footsteps like a cat and the voice of a falling feather, she has proven herself to be more trouble that she's worth as far as he has known her. However, this doesn't mean she does not care about the young Songs; once she found out about the journey- having eavesdropped on Dynas' talking- she tried doing various 'chivalrous' acts in hopes of catching the old Scholar's eye. A pointless effort, given that the Imperial had already chosen her to join him before she even found out about it all. Straif was the last to be chosn on the quest by Dynas. Although not very impressive strength-wise, Straif has proven to be extremely adept in the arcane arts, as proven by the markings she bears on her scales. From a young age she has studied amongst various other students in the Observatory, until her nameday came rolling around. On that day, the young Pearlcatcher 'awoke' her true potential, and the previously blackberry colored runes that littered he body spread, flooding her body with arcane power. Young, kind and extremely empathetic, Straif aims to help Dynas as best as she can on this Quest, although she keeps her distance with Tuathe. Windweaver is the scholar. She loves to invent and experiment, even though said inventions often don't work the way they're supposed to. Solarwinds is one of her allies. She's a zombie, so she isn't fooled by illusion magic. She was convinced to go because even though she's dead, she cares about her clan and wants to protect them. Raiden is the other ally. He's an occultist and wants to figure how how the imposters' magic works. 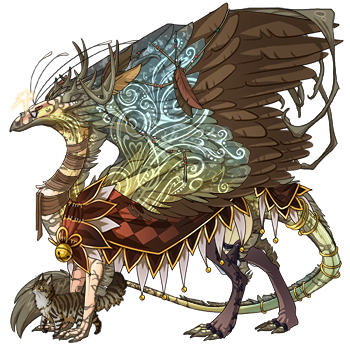 The Scholar - Sycamore [url=http://flightrising.com/main.php?dragon=12974361] [img]http://flightrising.com/rendern/350/129744/12974361_350.png[/img] [/url] There's no question that Sycamore would end up being the Scholar. As the self-appointed historian and a scholar in his own right, he's the most knowledgeable in the clan. He doesn't have a lot of magic power, however, one of his allies does. 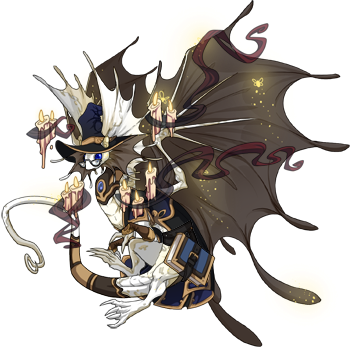 Ally - Dimi [url=http://flightrising.com/main.php?dragon=31423136] [img]http://flightrising.com/rendern/350/314232/31423136_350.png[/img] [/url] A wielder of some very strange magic, Dimi is perhaps one of the strongest users in the clan. He cares very much about his adoptive family, and do whatever it takes to bring the hatchlings home safely. 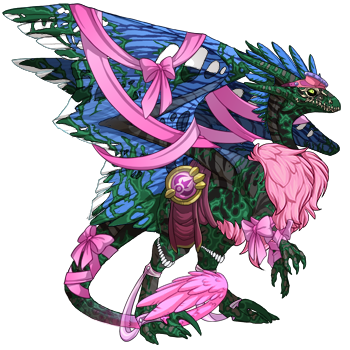 Ally - Rosie [url=http://flightrising.com/main.php?dragon=18351189] [img]http://flightrising.com/rendern/350/183512/18351189_350.png[/img] [/url] Rosie is certainly not a magic user, unless stabbing people with a sword is magical. She hates two thing, people who hurt hatchlings, and people who do evil things, so she's ready to fight whoever to bring down Thana and rescue the hatchlings. There's no question that Sycamore would end up being the Scholar. As the self-appointed historian and a scholar in his own right, he's the most knowledgeable in the clan. He doesn't have a lot of magic power, however, one of his allies does. A wielder of some very strange magic, Dimi is perhaps one of the strongest users in the clan. He cares very much about his adoptive family, and do whatever it takes to bring the hatchlings home safely. Rosie is certainly not a magic user, unless stabbing people with a sword is magical. She hates two thing, people who hurt hatchlings, and people who do evil things, so she's ready to fight whoever to bring down Thana and rescue the hatchlings. Daichi is the scholar. He is the clan's Historian, Researcher, & all around nice guy who just can't seem to say no to anyone who needs help. Ryuunosuke is the honorable Warrior and Guardian of the Clan. He's is usually calm and is one of the Oldest dragons in the clan.